OH SUMMER! I'm so glad you're here! All products for this review/feature were sent free of charge by the company. I was not offered any monetary compensation by posting about these products. It means plenty of days filled with outdoor fun, pool time and lots of sunscreen so we don't get burnt. 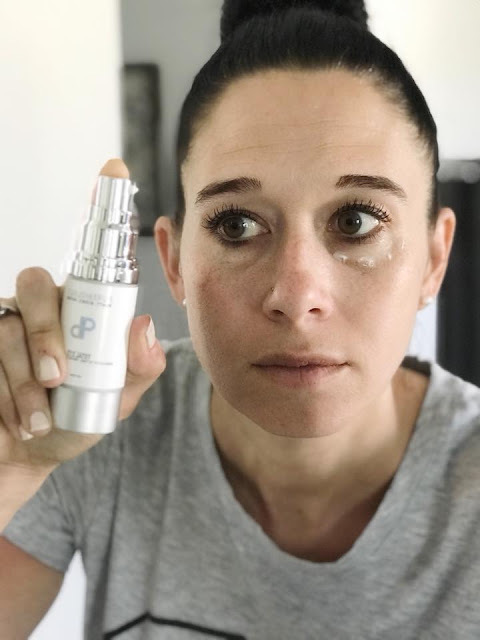 It also means that my "ALMOST" forty year old skin will be getting some summer freckles and color...which also means more wrinkles and aging. 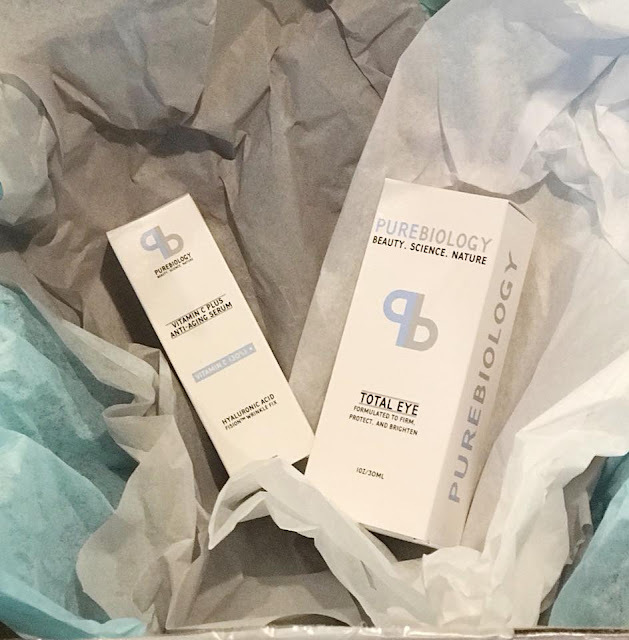 PureBiology just sent me two products to use this summer, in an effort to avoid further damage to my skin. These products are SOLD exclusively on Amazon.com and I am so excited to use them! My mother in law has been telling me lately that it's a MUST for me...especially since I'm getting older. 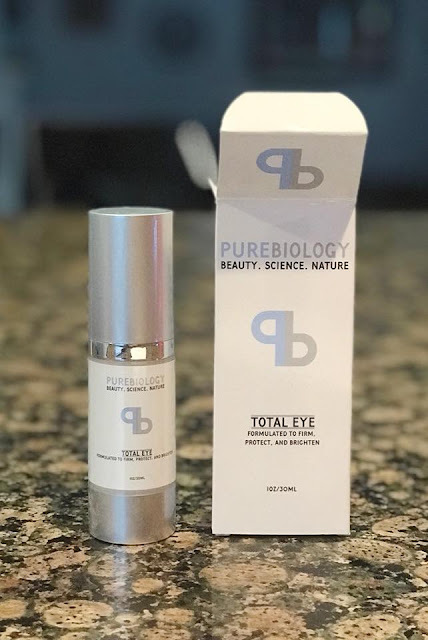 So this TOTAL EYE product from PureBiology is the perfect thing for me to start using! It has both immediate and lasting benefits. It instantly lifts, firms and tightens skin. It has Baobien Tien, which defends against the UV exposure (perfect for summer time) and provides added moisture and helps with optimal skin health. 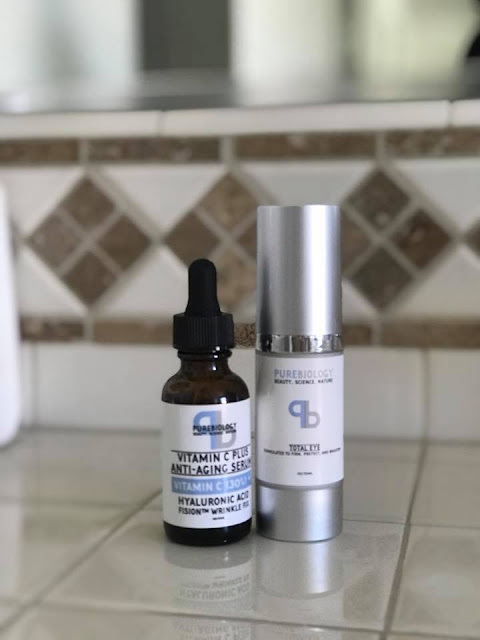 But I am honestly most excited about this Vitamin C Plus Anti-Aging Serum - Fision Wrinkle Fix. I'm already starting to see fine lines and wrinkles that just keep getting deeper and more noticeable on my face. It's frustrating, but part of the aging game, I guess. 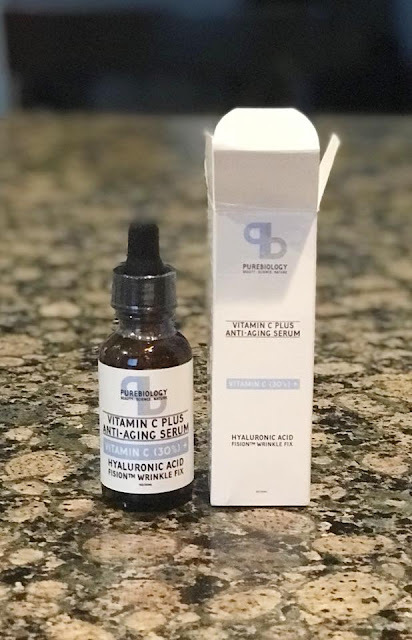 This serum is made with 90% natural ingredients, hyaluronic acid and no artificial colors or filters. It has a 30% concentration of Vitamin C, which is quite a bit more than other brands. 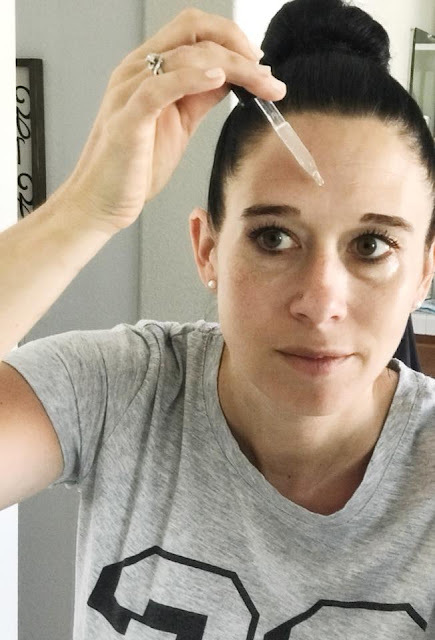 It's main goal though, is to reduce wrinkles, fine lines and even age spots. SCORE! I'll be using this all up for sure! 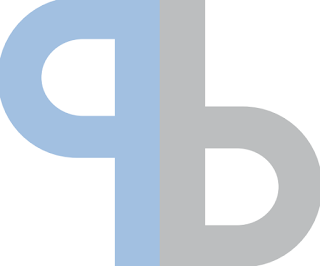 PureBiology has more products than the two I'm personally trying myself...including a Anti Hair Loss & Growth Stimulating Shampoo & Conditioner, Enhanced lash enhancement product, etc. 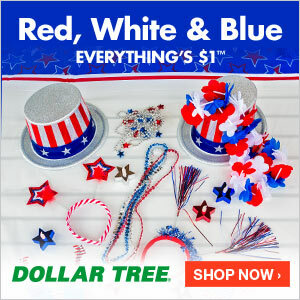 CLICK HERE to see their entire product line on on their Facebook page, which links you straight to Amazon.